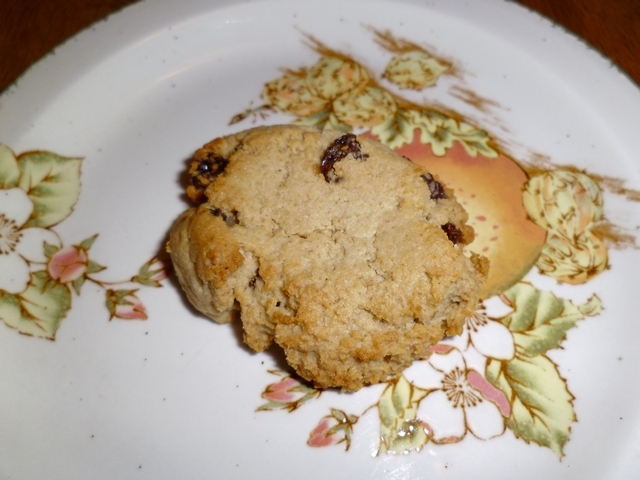 These delicious vegan raisin cookies are very moreish and did not last long in our house! My brother loved them! 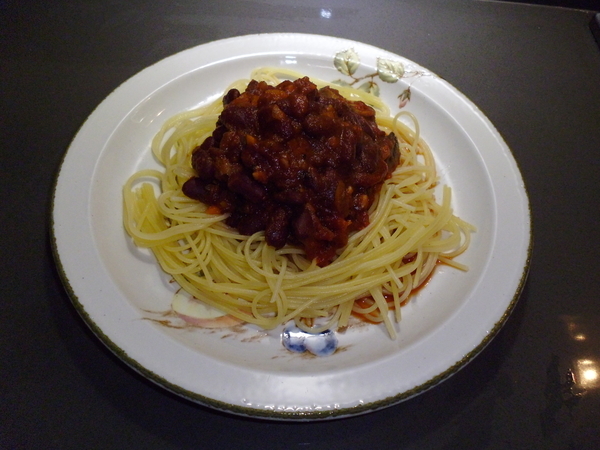 It is amazing how quick and easy it was to make this tasty treat! Additionally they are gluten free and vegan! Firstly preheat the fan oven to 180C. Now weigh out the oats and pour them into a blender (I used the Vitamix) with the baking powder. Blend until you have a fine oat flour. Next pour the oat flour into a bowl. 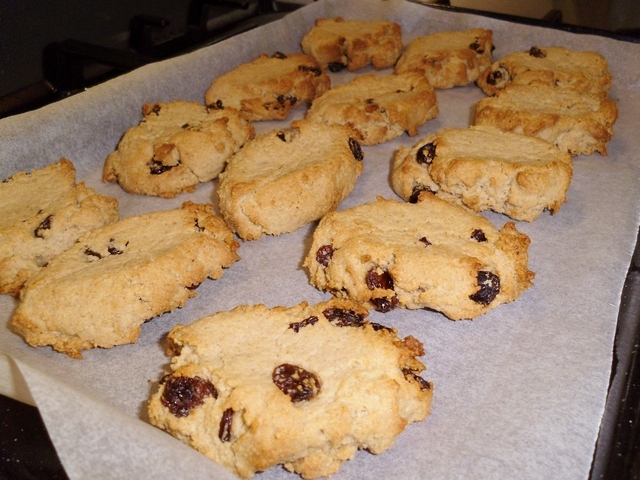 Add in the raisins and mix in well with a wooden spoon. Make a well in the middle of the flour. Now pour in 100ml almond milk, the rapeseed oil and the agave nectar. Mix together until it forms a sticky cookie dough. Add the remaining almond milk to mix in any flour sticking to the sides of the bowl. 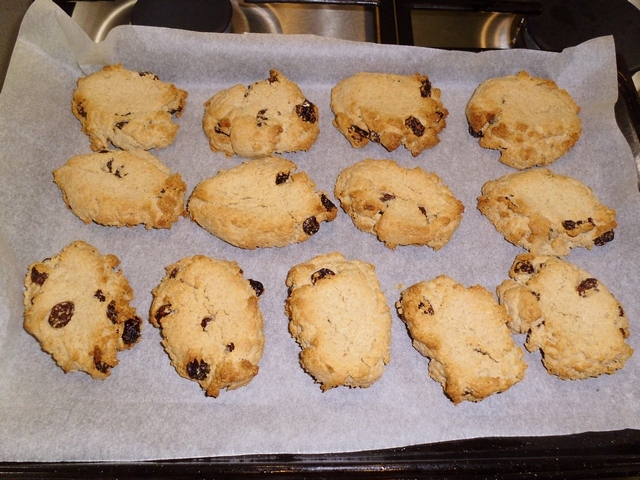 Finally remove from the cookies from oven and leave to cool. Inspired by the recipe on Violet’s Veg*n e-Comics. This flapjacks were inspired because a friend said I should make some cookies and I had a bag of gluten free muesli sitting in the cupboard. So I thought I would create some quick gluten free flapjacks! 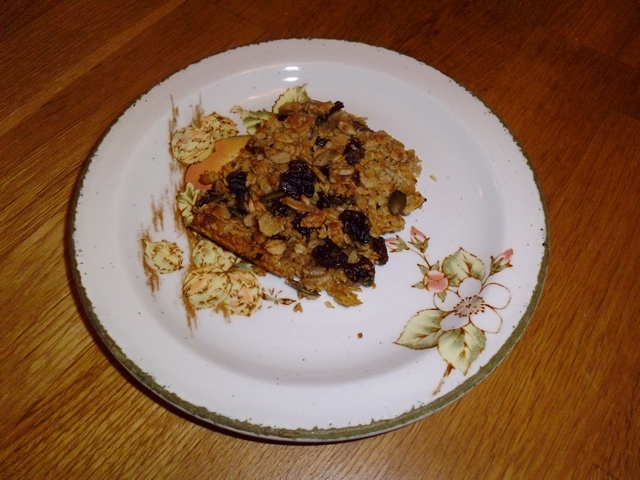 The recipe is so quick and simple to make, just take the gluten free muesli, add the liquids, mix and bake it in the oven for 20 minutes! It is a tasty and healthy snack that anyone can make within half an hour. Preheat a fan oven to 180C. Weigh out the muesli and add in into a bowl. Sprinkle on the cinnamon. Pour in the rapeseed oil, filtered water and agave nectar. Mix in well. 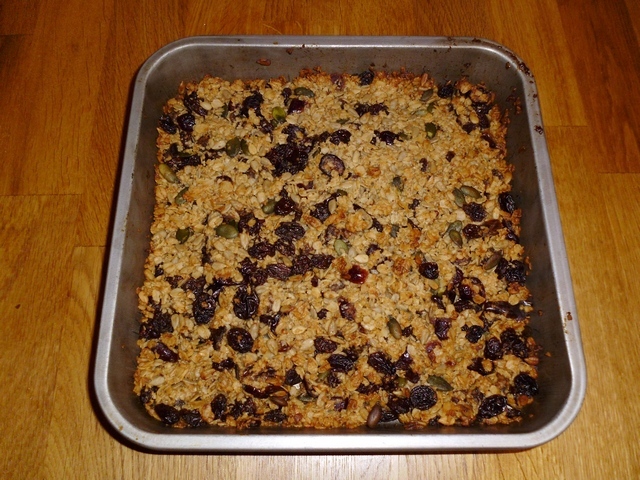 Pour the mixture into a 9 inch square flapjack tray. Press down with a wooden spoon until the mixture is smooth and even all over. Remove from the oven and leave to cool. Cut into 9 squares. Store in an airtight container and eat within a week.